There has been a long debate about why dinosaurs were so successful. Say dinosaur, and most people think of the great flesh-eaters such as Tyrannosaurus rex, but the most successful dinosaurs were of course the plant-eaters. A new study from the University of Bristol, led by Masters of Palaeobiology student Eddy Strickson, has presented clear evidence about how plant-eating dinosaurs evolved. In the rich dinosaur deposits of North America, hundreds of skeletons of plant-eaters are found for every T. rex. But how did they survive and proliferate? Was it down to innovation or stimulus by plant evolution? Plants were evolving fast during the Mesozoic, with the rise of cycads, conifers, and especially the angiosperms or flowering plants in the Cretaceous. 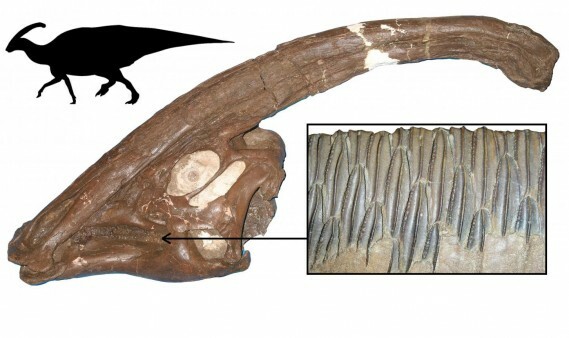 However, the evolution of ornithopod dinosaur jaws and teeth did not show any response to these changes in availability of plants. Over 150 million years, many hundreds of dinosaurs came and went, but in the end they all died out 66 million years ago. The new work helps confirm another recently published, and controversial, claim that most dinosaurs were already in decline 40 million years before the meteorite struck and finished them off.